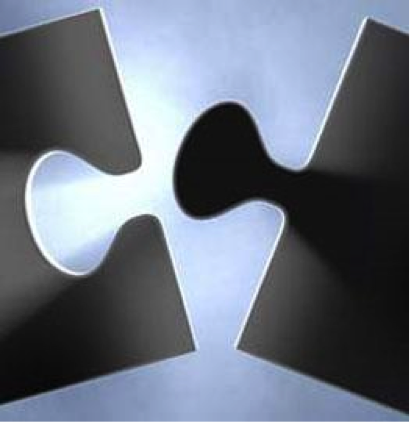 Almost every sector of the global economy is experiencing rapidly increasing M&A activity. Of course, the overarching reason for the M&A madness is the economic recovery, but there are other factors at play that are further fueling the volume and value of these transactions. Notably, debt is particularly cheap, private equity is soaring, and there are a lot of new players getting in the game, including foreign sovereignties and crowdfunded buyers. Regardless of the specific details of a particular transaction, there are certain things that can kill just about any deal. Here are 5 M&A deal killers and a few tips on how to avoid them. The very first item of business for any company contemplating a merger or acquisition is to prepare for the process. There can be a lot of moving pieces during a transaction, so it is critical to compile all the requisite information before delving into any negotiations. Obviously, failing to put things together in an organized fashion ahead of time may later derail the progress of a transaction. However, noticeable disorganization may even prevent the process from ever getting started, as a lack of preparation is likely to turn off interested parties. It is helpful to create a detailed plan of action at the start, including a timeline with concrete due dates for the completion of each task. At a minimum, companies should polish their business plan, prepare pertinent financials and projections, collect due diligence materials, and craft a solid presentation, all of which can be housed in (and later shared from) a secure virtual data room. This information gathering must be taken care of prior to conducting research or reaching out to prospective purchasers. Transparency is critical during any M&A transaction. No one wants to work with a company that deliberately attempts to conceal matters or tries to surreptitiously gloss over them, especially big items such as pending litigation or significant financial obligations. More than likely, any outstanding matters will be discovered during due diligence, so it is better to be forthcoming from the beginning to establish credibility and trust. Basically, anything and everything that could affect the deal should be disclosed fully at the outset. If for some reason a party is unaware of a potential issue in the beginning but later learns of it, the information should be immediately conveyed to any other parties. Even if the issue itself is a deal breaker, it is better for everyone involved to figure that out as early as possible to avoid wasting too much time and money. This issue obviously ties into the aforementioned disorganization and surprises, but there are many reasons that deals end up fraught with delays. In general, the longer a transaction drags on, the more time there is for something to go wrong. Sometimes things pop up unexpectedly that simply cannot be avoided and may take a bit of extra time to sort out. In such cases, managing expectations and engaging in consistent communication are key to ensuring that the deal does not die. However, delays due to procrastination or one party failing to complete a required step are more likely to foster strife and result in the deal’s demise. Thus, delegating duties appropriately, fastidiously enforcing deadlines, and holding parties accountable will help diminish the number and length of delays, and hopefully, lead to a smooth and timely closing. Clearly, forecasting a company’s financial future is quite tricky, and there will inevitably be minor differences between anticipated and actual figures. Nevertheless, it is absolutely vital that companies make reasonable financial estimates and provide the basis for any such calculations. Inflating numbers and/or unreasonable conjecture can cause serious problems down the line. As a result, it is best to maintain a conservative approach when it comes to projections and valuation. In addition, because it can take months to close a deal, which inevitably allows for economic fluctuations to impact performance, financial information should be updated periodically throughout the process to ensure the accuracy of the predictions. Any significant deviation from the initial assessment may cause a party to back out at the last minute, so careful calculations are crucial! Unfortunately, egos or greed often get in the way of a deal closing. Some deals fall apart because the parties simply are not on the same page. Although some differences may be insurmountable, sensible leaders will not let trivial matters spoil months of hard work. As long as everyone keeps the ultimate goal in mind and there has not been a substantial change in the terms of the deal, there is no reason that things cannot be resolved amicably. If one side is particularly stubborn about a seemingly small issue, it may indicate a lack of seriousness or commitment to sealing the deal. Ultimately, every M&A transaction requires a significant amount of time and effort from all participants involved. Although issues are bound to arise at some point during a deal, there are certainly ways to steer clear of the major deal killers. In the end, preparation, organization, communication, and compromise should result in a closed deal and satisfied parties.